As far as success stories go, Chelsea Carter’s is an inspiring one. Before becoming a college educated addiction and recovery professional, Chelsea was a drug addict. By age twelve, she was abusing drugs and alcohol on a regular basis. Soon after entering her teens, she turned to harder drugs as a means of coping with the pain of losing two loved ones, with each devastating loss occurring within days of each other. As Chelsea’s addiction progressed, she began shooting drugs into her veins. Desperate to get high, she had reached a point where she would have done just about anything to obtain the drugs she craved. Once a bright, beautiful young woman full of promise, Chelsea’s light had gone dim. As her life, fueled by the insatiable need to get high, spiraled out of control, Chelsea found herself in serious legal trouble. With numerous felony charges and the possibility of a lengthy prison sentence looming over her head, she hit rock bottom on the cold cement floor of a jail cell, where she lay crying as her body violently detoxed. With shackled hands, she prayed for mercy. Behind bars and at her lowest point, Chelsea decided to reclaim her life. Determined to change the dangerous course she was on, Chelsea entered rehab. She adhered to her treatment program and, despite the challenges she faced during recovery, overcame addiction. 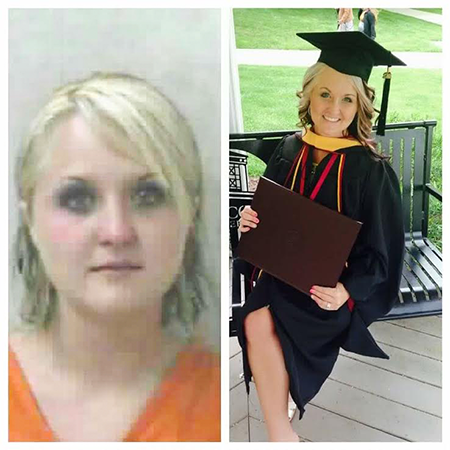 Clean and sober since 2008, Chelsea has completed her college education and now holds a Master of Social Work from Concord University, with plans to continue her education even further. Passionate about addiction recovery services, Chelsea serves as the Director of Appalachian Health Services in Logan, West Virginia. In addition to her professional role as an addiction recovery counselor and mentor at Appalachian Health Services, Chelsea remains active in her community, speaking publicly on a regular basis about her experiences and successes. Her story has been heard by many, both regionally and nationally, to include President Barack Obama and former Secretary of State Hillary Clinton. Believing addiction is a primary physiological illness, both progressive and terminal in nature, Appalachian Health Services helps people heal their lives from the destruction of addiction through outpatient counseling, parenting classes and group counseling. Standing behind their philosophy that as long as an addict is alive, there is hope for healing, Appalachian Health Services stands firm in the knowledge that any patient who adheres to their treatment plan can, and will, overcome addiction. With services provided on an outpatient basis, program participants can successfully balance work, family and relationship commitments while in recovery. Chelsea’s story has a happy ending and yours can, too. Help, hope and recovery are within reach. Appalachian Health Services currently has five offices serving Ohio, West Virginia and Kentucky, including their Gallipolis office, located at 420 Silver Bridge Plaza. Learn more about their services by visiting them online at www.ahs.healthcare, or by calling (740) 446-4600.